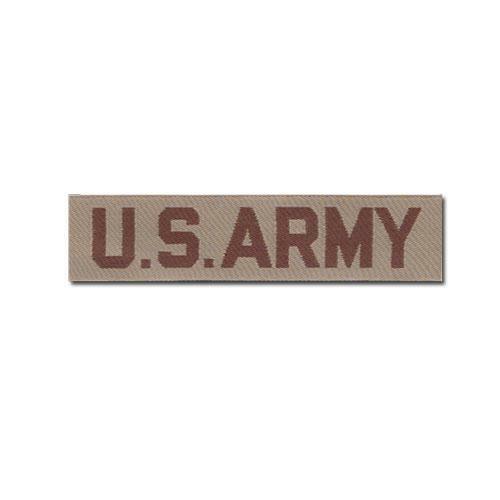 U.S. Army BDU Embroidered Cloth Name Tape. Desert Brown on Tan. 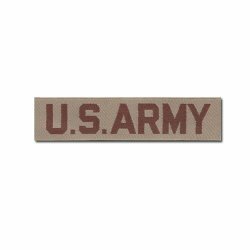 Military branch tapes for combat uniforms.